I love a good bargain and these Vaseline body lotions definitely fall into that category. 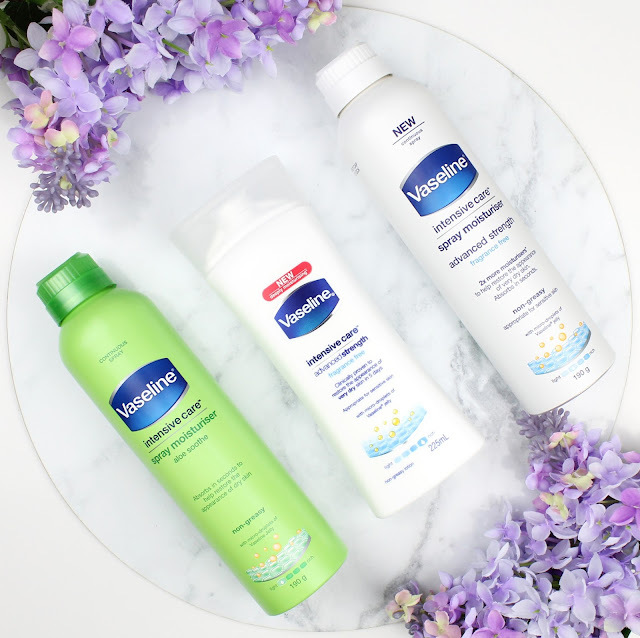 I have loved these from the moment Vaseline released their range of body lotions. The first one I used was the formulation for dry skin repair (creamy yellow packaging) but I have gradually worked my way through the range. I have used these lotions on and off and always come back to them because I've liked every single one. This is definitely my summer favourite because the aloe is soothing, cooling and absorbs very quickly while also smelling great. This one would be the lightest in the range but it still packs a lot of moisturisation. I have found that the sprays in particular are very moisturising but absorb very quickly so there is no greasy feeling. I really do love the spray because it is super easy and even has a secure twist lock so you can still travel with them. I'm kind of going up in moisturisation strength here and this Advanced Strength spray offers even more moisturisation while still being in a light and non-greasy spray form. I suffer from chronically dry skin so this is definitely the one I reach to most regularly, especially in winter. 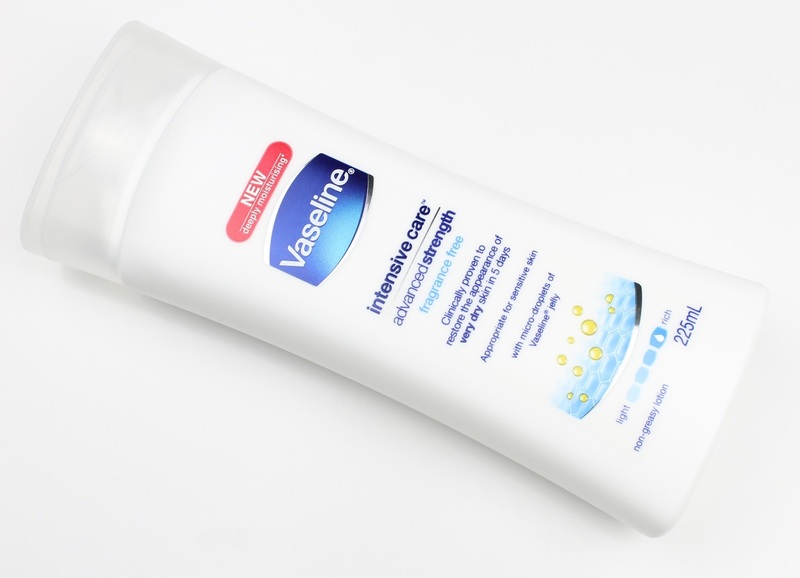 I also find that it has a kind of barrier cream action because I can feel it on my skin even the next day, locking in the moisture, but it is still very comfortable. The scent is also good too - it is pleasant but subtle. This is the one I turn to when I am totally dry and flaky in the winter time. It definitely has a barrier cream action and is even more intensive than the spray. 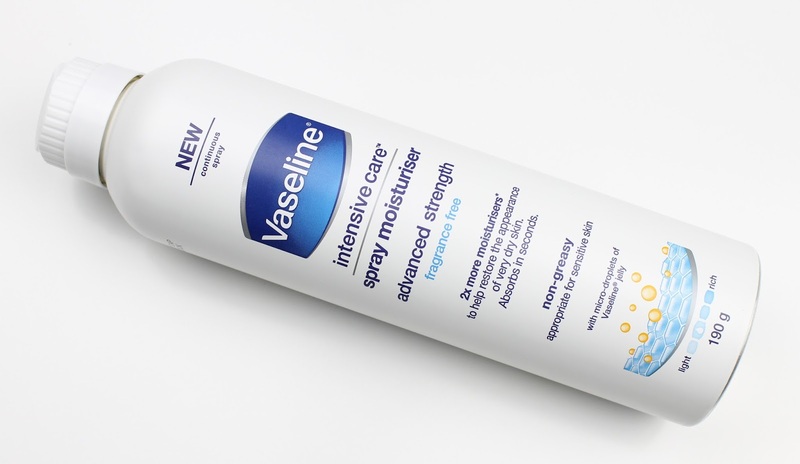 This is the one I am using right now in the freezing, dry winter weather of Europe and it has been keeping my skin perfectly moisturised. I really do think these are some of the best moisturiser you can get for the money and I will keep coming back to them time and time again. They are a bargain even at full price but they are also regularly on sale. I have even seen them half price at Woolworths and Coles. 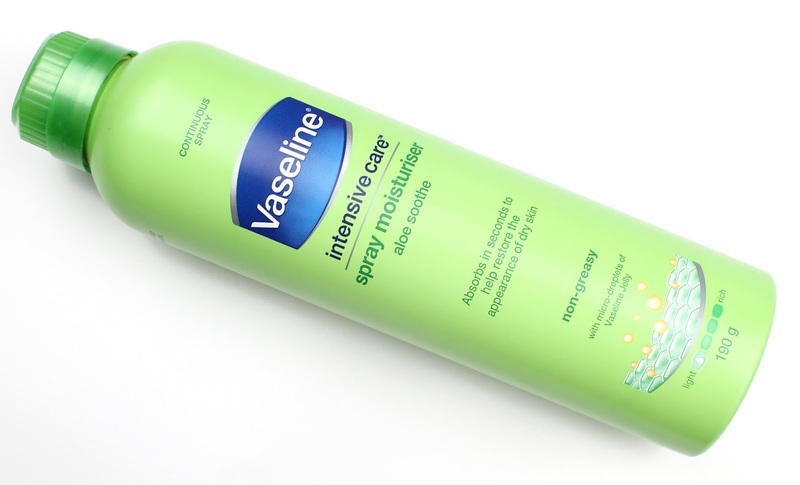 Have you use the Vaseline body lotions before? Do you love them as much as me? Let me know in the comments below and I would also love any other suggestions of budget body lotions.